A Kurdish young man has accidentally killed his friend while trying to roleplay the popular PUBG (PlayerUnknown's BattleGrounds) game in the Erbil Province. According to Kurdistan24, the two young men were part of a group of six youths picnicking near a resort. The friends stayed at a house that belonged to one of their relatives, and there they found a shotgun. However, before leaving the house, one of the youths suggested that they play PUBG and had someone shoot a video of it. "As they were getting ready to return home, the youths said they should roleplay PUBG," A police spokesperson told Kurdistan24. "And then, one of the friends asked another to hold the gun like PUBG and had some else shoot a video." Unknown to the person holding the gun, it was loaded and he then mistakenly shot 22-year-old Aso Azad Mohammed while playing with the gun. The police spokeperson continued narrating the story as he had been told: "All of them were nware that the gun was loaded," and after playing around with the shotgun for a while, "the one brandishing the weapon shot his friend, who died shortly after." Shortly after the incident, all five friends were detained by the police and questioned. 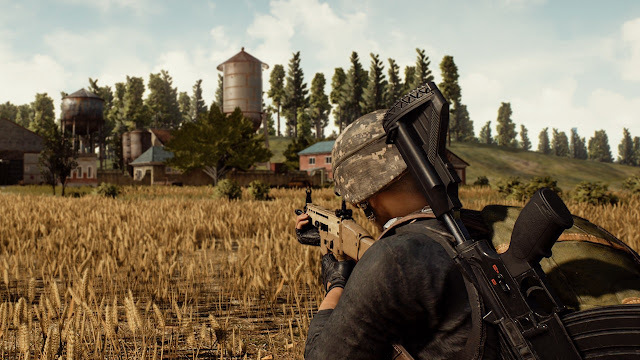 In October, an Islamic religious authority in the Kurdistan Region ruled it as 'Haram' (forbidden) to play PUBG for more than a few minutes a day, if it hinders one's daily responsibilities. The rule came to place after reports from several people complained that their family members/ relatives were addicted to playing the game and therefore causing family disputes.